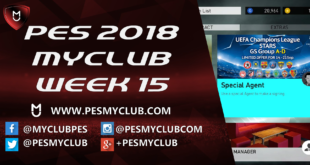 PES 2015 and PES 2016 displayed myClub in its infancy years. In PES 2017, we are now seeing a more refined product. 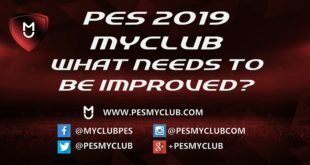 In this myClub review we will analyse these refinements and discuss why the future looks bright for PES myClub! 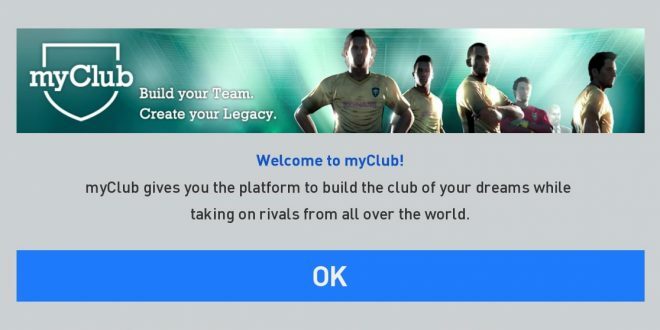 The most notable addition to myClub has been the new auction system. 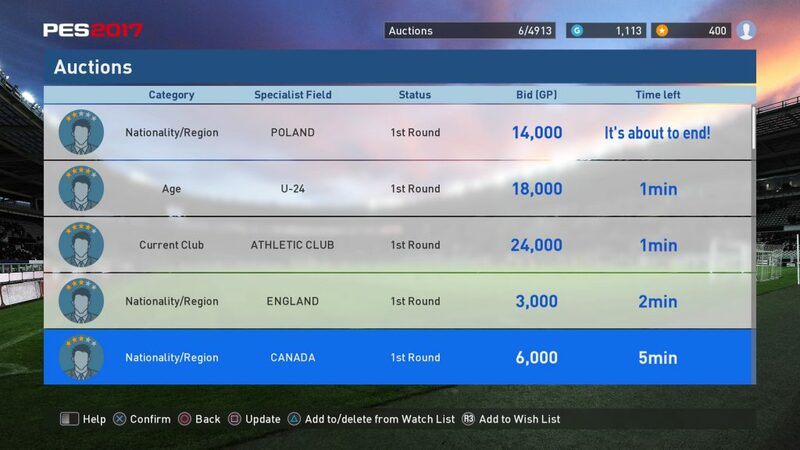 These auctions allow you to purchase scouts which in turn will produce particular players based on the scouts’ attributes. This is an important addition because it has removed the complete randomness for previous editions of PES. Beforehand there were only agents, which other than the broad position, produced a completely random player. With auctions the randomness is still there but there is also an element of control allowing you to save up, and battle, for your favorite players. Greater tactical depth is now required in myClub. This takes away from team strength being one of the main determinants of who is victorious. 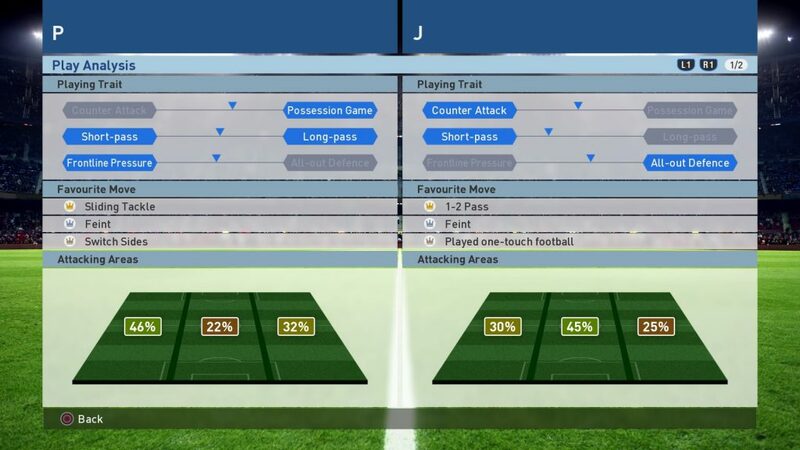 Your own tactics, understanding how your opponent plays and advanced instructions are all now important facets of myClub. Knowing whether your opponent is more likely to play through the centre, play a possession based game or put a lot of frontline pressure on your team will allow you to adapt accordingly. Furthermore, advanced instructions like swarming the box, playing a deep defensive line, hugging the touchline and utilising attacking fullbacks all add an additional element to the game. myClub in previous games felt entirely different to their respective normal modes. 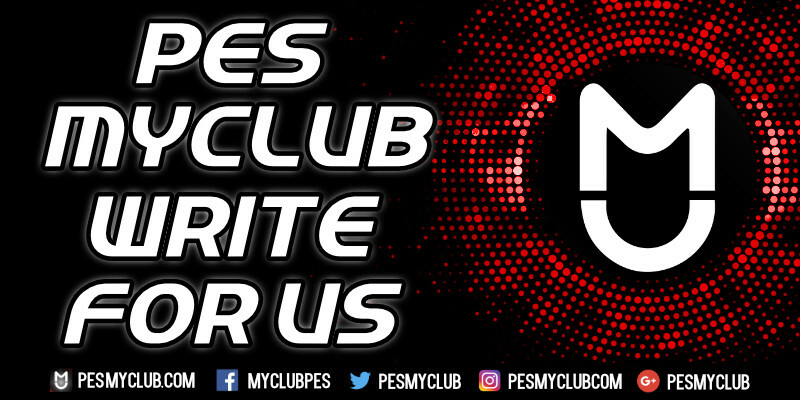 For example in PES 2016 it was widely considered that higher scoring games were the norm due to goalkeepers being poorer on myClub. This ruined the myClub experience for a lot of PES fans where it would almost feel like a basketball game at times. This is no longer the case as goalkeepers are vastly improved. As a result the scoring distribution within matches reflects real life a lot more. There is still the occasional 4-4 game which does feel more exciting due its less frequent occurrence. On the flip side 0-0 draws actually happen an appropriate amount of time now and feel satisfying!